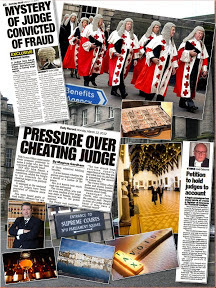 Scotland’s courts, judges & justice system previously condemned as a failure to society, remain so today. 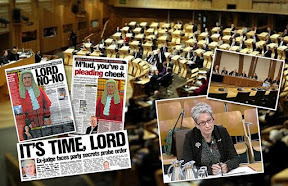 A SENIOR JUDGE from Scotland’s Court of Session was asked at a recent get-together of fellow members of the judiciary, “How do you handle doctors letters or medical reports?”. 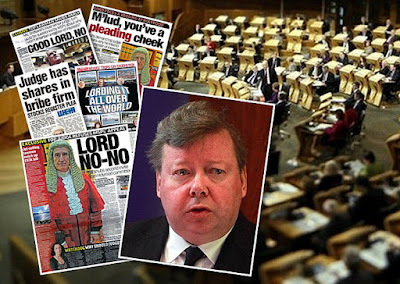 He tersely replied, murmuring an expletive, “I … completely ignore them”. It turns out the same judge kicked out a test case involving a disabled infant just a few months earlier. 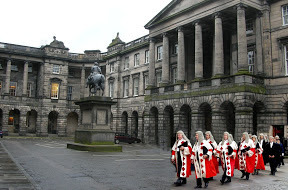 And thus from the ignorance of a few ill-mannered men at the head of Scotland’s courts is born the latest pledge from Scotland’s antiquated judiciary to tidy itself up, to be known as the Judicial Institute for Scotland, it’s launch recently announced by the Judiciary of Scotland. 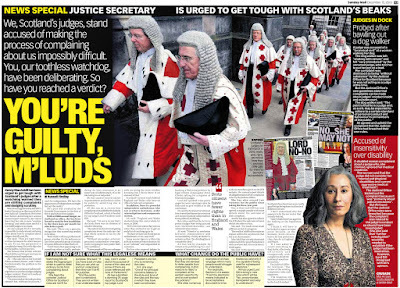 Nearly FIVE YEARS after Lord Brian Gill, then in his capacity as Lord Justice Clerk branded Scotland’s justice system as an unduly complex, expensive “Victorian” system which fails society, the judiciary has only now seen fit to make a public announcement its members appear to require additional training to handle new legislation, new case law, courtroom ‘technology’ (which has in some cases, such as audio recording equipment been in place for nearly a decade already) and “case management expectations” which may not necessarily include public expectations of the swift, cheaper & wider access to Scotland’s justice system proposed by Lord Gill way back in 2009. 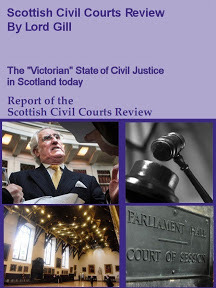 Today sees the official launch of the Judicial Institute for Scotland and the opening of the purpose-built learning suite located within Parliament House. This new learning suite has been equipped with state-of-the-art technology that will enable the Judicial Institute to deliver a wide range of training courses and to respond quickly to training needs when they arise. 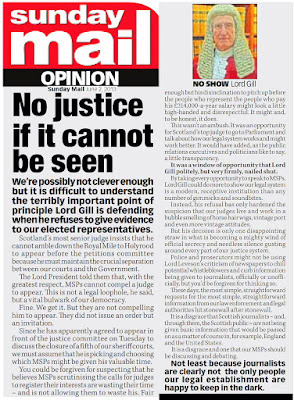 In his speech at the start of the legal year last September, The Lord President, The Right Honourable Lord Gill, emphasised the importance he placed on providing judges in Scotland with high quality training in order to ensure that they are in a position to deal with the raft of new legislation and case law, and that they are fully conversant with courtroom technology and case-management expectations. 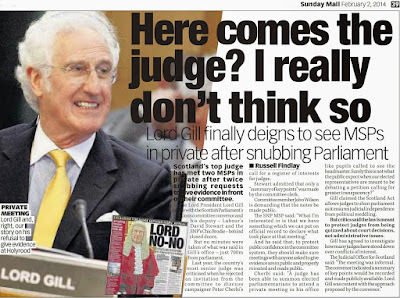 “Judicial training is not simply an optional extra for the judiciary,” he said. “We have an obligation individually and collectively to ensure that we maintain a professional approach throughout our judicial life. 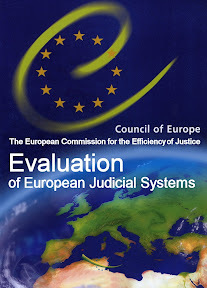 This new learning suite will enable us to ensure that judges in Scotland benefit from the latest technology in helping them to meet the challenges that lay ahead”. 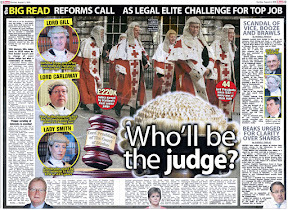 Prior to 1997 there was effectively no formal training for judges. The Sheriffs’ Association took on some training in the 1980s and ’90s but that tended to be organising visits to prison or arranging talks. Training then began to be delivered in hotels on two or three day residential courses, but such facilities limited the type of training that could be delivered. Over time it became clear that judges needed a more bespoke relevant, modern and accessible training programme which eventually led to the development of this new training facility. Being in Parliament House also brings the added advantage of enabling senior judges to engage and take part in training and to meet more readily with JPs and sheriffs on training courses. 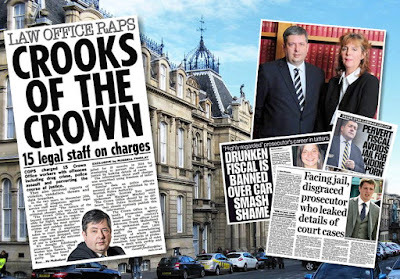 Training can also be designed around the particular needs of individual judges and sheriffs, taking into account their previous experience and skill set. 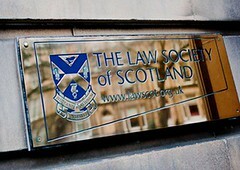 Attending the opening today will be Mr Kenny McAskill Cabinet Secretary for Justice and number of invited guests. 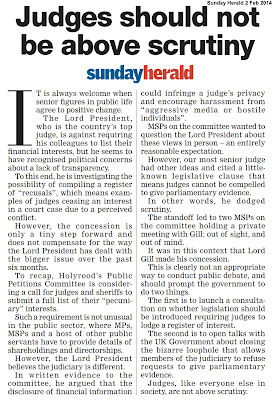 The Lord President will invite The Right Honourable Lord Ross to formally open the Judicial Institute for Scotland. 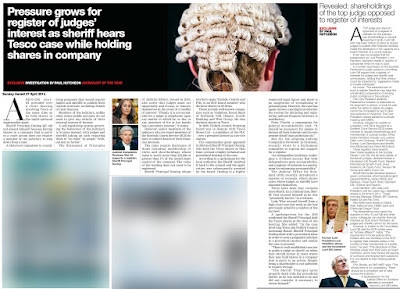 As anti-client as it gets – Lawyers self-regulation leaves many vulnerable clients without legal protection. 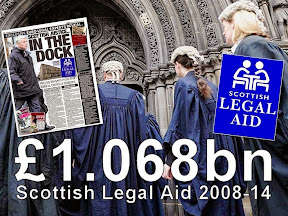 VULNERABLE & DISABLED CLIENTS of Scottish solicitors should take note of the continuing weakness of self regulation of lawyers in Scotland, revealed in a recent report by the Scottish Solicitors Discipline Tribunal (SSDT) where it was found that a solicitor who failed his client, a dementia sufferer, and gave away her home to relatives, has kept his job while the consequences of the solicitor’s actions and those of others have led to the client’s family being forced into a costly court battle to return the property to its rightful owners. 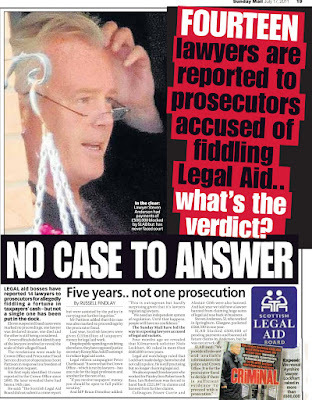 In a recent case featured in the Sunday Mail newspaper, solicitor Gerard Durkan (45) of the Glasgow based law firm of Harper Macleod LLP appeared before the Scottish Solicitors Discipline Tribunal (SSDT) was found to have committed "serious and reprehensible" misconduct and that he had "clearly demonstrated a failure to act in the best interests of the client". It was reported that Durkan knew another law firm acted for Catherine Kerr and that her son Robert had legal control of her affairs, yet after receiving instructions he overturned the son’s control and transferred Catherine’s two-thirds share of her £200,000 home to her other two children. 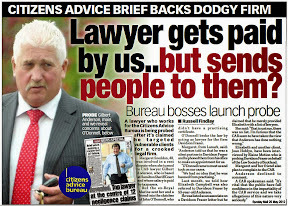 The tribunal found Mr Durkan guilty of Professional Misconduct and fined him £1,500, yet despite the effect Mr Durkan’s actions had on the family, and the necessity of yet more expensive legal action to return the home to its rightful owner, the lawyer run tribunal pointedly REFUSED a compensation claim made by the complainer. and (3) failed to act in his mother's best interests by accepting her instructions to transfer her share in property 1, for no consideration, to his siblings Mr A and Ms B. 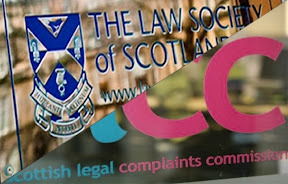 The tribunal heard that the Scottish Legal Complaints Commission (SLCC) had considered the complaint and, in terms of the Legal Profession and Legal Aid (Scotland) Act 2007 Section 6, remitted the complaint to the Law Society of Scotland to investigate, which culminated in the hearing before the tribunal. 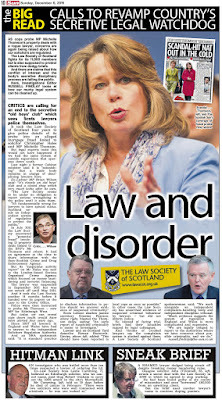 Valerie Johnston, appearing for the Law Society of Scotland in her role as it’s ‘Fiscal’, told the tribunal the complainer’s family had been caused significant concern & distress at Durkan’s actions, and alleged that Durkan had gone along with a scheme concocted by other family members to transfer Catherine Kerr’s house to their interests. The SSDT report said : Mrs Johnston stated that the Secondary Complainer and his family were present at the Tribunal hearing and they consider that the Respondent’s failures have caused a lot of distress, concern and difficulties. 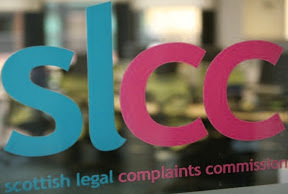 Mrs Johnston explained that the Secondary Complainer’s perception was that there was a scheme devised by his brother to secure his inheritance which his sister went along with. The Respondent allowed himself to become involved in this scheme which caused a great deal of concern to other members of the family. 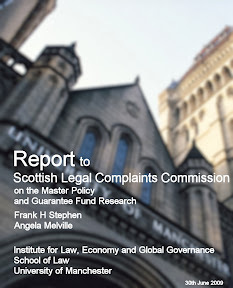 Mrs Johnston then advised that the Secondary Complainer and his family are not able to distinguish between the Respondent’s role in facilitating and the role of Mr A in devising the scheme. 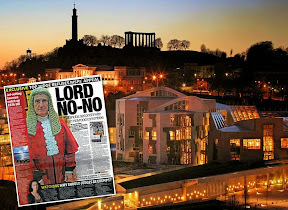 Mrs Johnston stated that she had looked at the file from Harper Macleod and had lodged this to give the Tribunal an idea of the tone of the correspondence from Mr A which was terse to say the least. Mrs Johnston submitted that he was very much a driving force in this transaction. 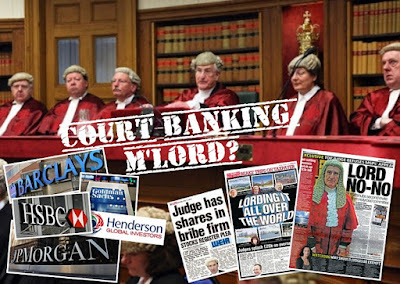 Mrs Johnston stated that Mr A was pushing for the transfer of title to go ahead without delay but the problems ought to have been clear to the Respondent. The SSDT report said : Mrs Johnston accepted that the tenor of the correspondence was aggressive. She submitted that the Respondent’s main failure was to identify that he should have ensured that Mrs E was acting independently. Mrs Johnston submitted that the Respondent should have issued a letter to Mrs E at the address where she lived. She stated that he did not do that. He sent all the correspondence to Mrs E at Mr A’s address. 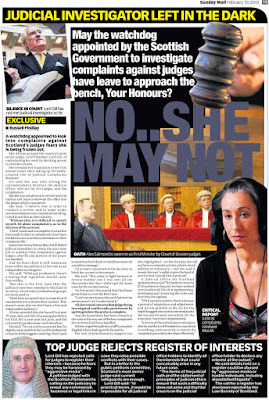 Mrs Johnston submitted that the Respondent should have seen Mrs E on her own and ought to have given her clear advice and followed that advice up with clear written advice and sent that to her home address. 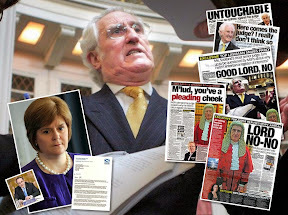 Mrs Johnston stated that on receipt of the mandate from Cochran Dickie the Respondent should have had further concerns about Mrs E’s instructions. However what he did was to write to Mrs E at her son, Mr A’s address and email a copy to Mr A. 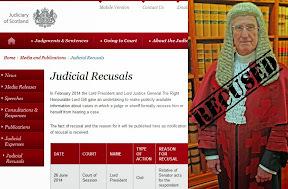 Thereafter the Respondent ignored the mandate and proceeded with the transaction to dispose of Mrs E’s two thirds share of her home and left her in a position where the only remedy is proceedings in the Court of Session to reduce that Disposition. 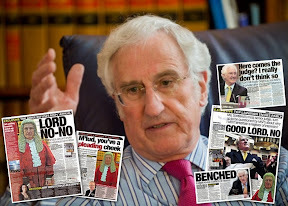 Mrs Johnston stated that she had obtained information from the Secondary Complainer about the position regarding the action in the Court of Session. 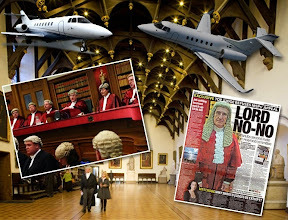 She advised that defences have been lodged by Mr A although not by his sister, that the adjustment period expires on 19 September 2012 and therefore the action is very much still ongoing. 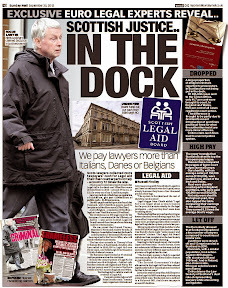 She explained that the action is to reduce the Disposition and both sides have Legal Aid. 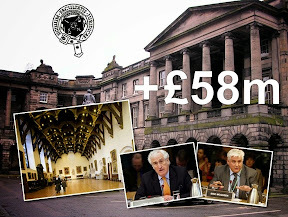 Mrs Johnston advised that the problem is that if Mrs E requires to go in to residential care, the local social work department have stated that they regard her two thirds of the property as her asset and so she would have to be self funded. 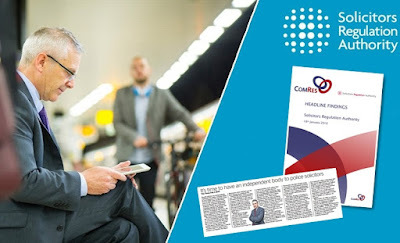 In response to a question from the Chairman, the Secondary Complainer advised that if his mother has to go in to social work care, and the disposition is not reduced the social work department have advised that they would pursue his brother and sister for the costs of that care. 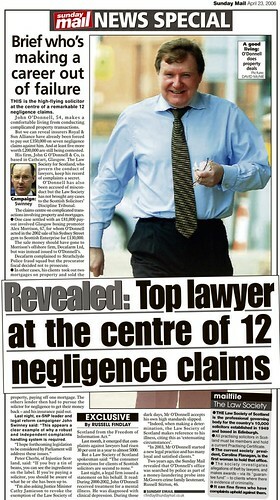 After hearing lengthy submissions from the solicitor’s representative, William Macreath, who also brought along Professor Robert Rennie, the Client Relations Partner in Harper to support their solicitor Mr Durkan, the tribunal found that Durkan had failed to meet Catherine on her own to try to establish her true wishes. 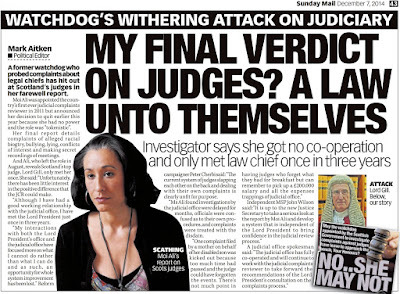 The tribunal went onto state that the solicitor should have been "aware of the possibility of manipulation of Mrs Kerr" by relatives. 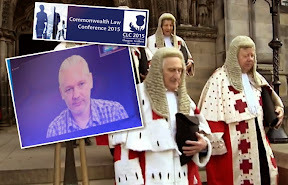 Censure the Respondent; Fine him in the sum of £1,500 to be forfeit to Her Majesty; Find the Respondent liable in the expenses of the Complainers and of the Tribunal including expenses of the Clerk, chargeable on a time and line basis as the same may be taxed by the Auditor of the Court of Session on an agent and client, client paying basis in terms of Chapter Three of the last published Law Society’s Table of Fees for general business with a unit rate of £14.00; and Direct that publicity will be given to this decision and that this publicity should include the name of the Respondent. 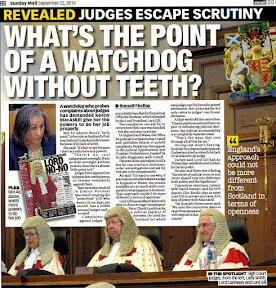 Edinburgh 30 August 2012. 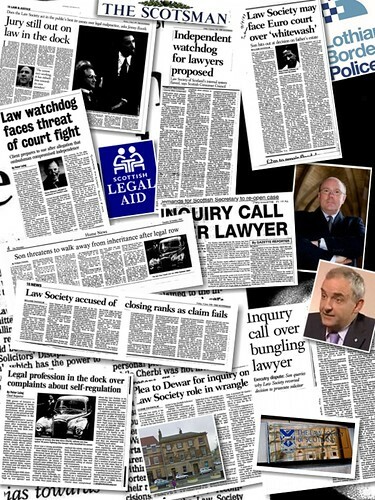 The Tribunal having considered the Complaint dated 4 June 2012 at the instance of the Council of the Law Society of Scotland against Gerard Durkan, Solicitor, Harper Macleod LLP, Solicitors, The Ca’D’Oro, 45 Gordon Street, Glasgow; and having considered the Secondary Complainer’s claim for compensation make no order for compensation. A lawyer who handed over an 86-year-old dementia sufferer's home for free has been fined for misconduct. Gerry Durkan, 45, knew another law firm acted for Catherine Kerr and that her son Robert had legal control of her affairs. 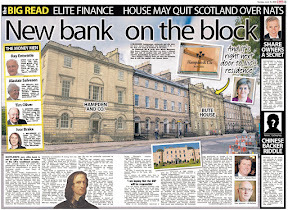 But he overturned Robert's control after being given instructions, then transferred Catherine's two-thirds share of her £200,000 home to her other two children. 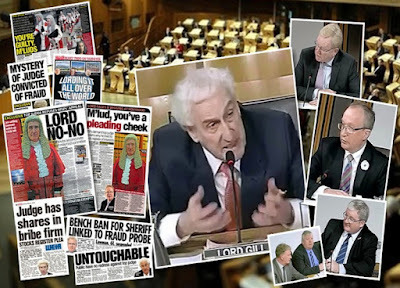 Durkan, a partner in law firm Harper Macleod, denied wrongdoing over the 2009 event but has now admitted his guilt. 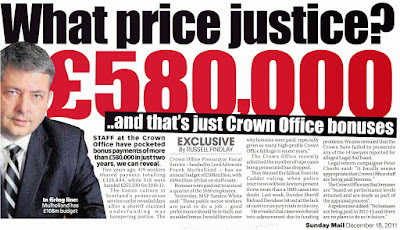 Instead of striking him off for what they called his "serious and reprehensible" misconduct, the Scottish Solicitors Discipline Tribunal fined Durkan £1,500. 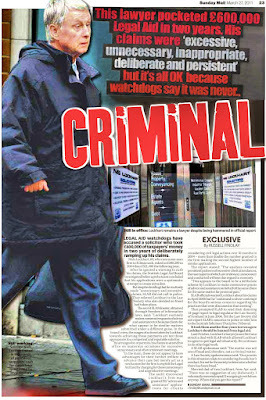 They said his conduct was a "single failing" and was unlikely to be repeated. 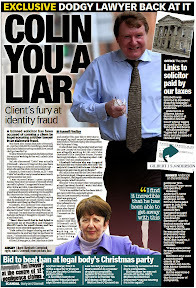 The panel found that Durkan had failed to meet Catherine on her own to try to establish her true wishes. 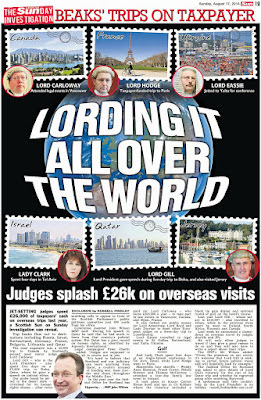 He had "clearly demonstrated a failure to act in the best interests of the client". 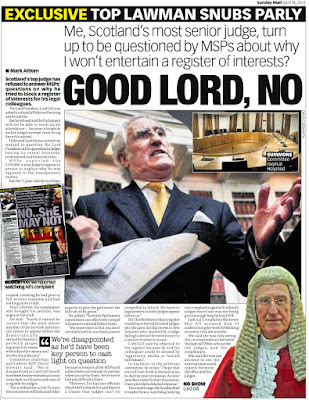 They added that Durkan should have been "aware of the possibility of manipulation of Mrs Kerr" by relatives. 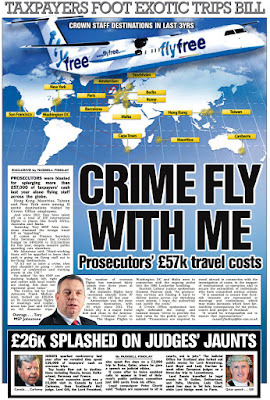 Robert has launched a court action to try to have the house in Bishopton, Renfrewshire, returned to his mum. Durkan was unavailable for comment. 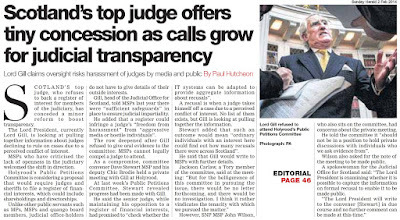 Scotland’s judges to be asked for views on their own lack of transparency over personal interests, vast wealth. 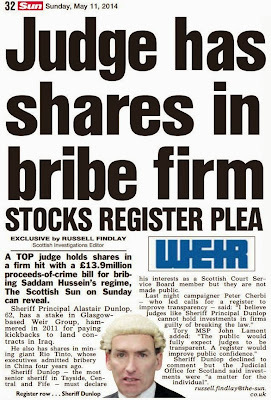 BY WHAT PRIVILEGE are highly paid Scottish Judges & Sheriffs allowed to conceal their substantial wealth, the origin of their investments, interests and other undeclared earnings according to rules written by themselves, asks a PUBLIC PETITION heard today by MSPs at the Scottish Parliament’s Petitions Committee. 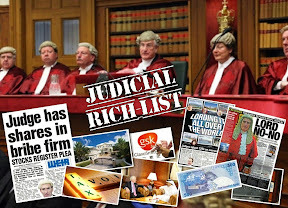 The petition, inspired by legislation currently under consideration in New Zealand, calls for a published Register of Interests for Scotland’s highly paid Judges & Sheriffs who currently prefer to keep their vast and somewhat “interestingly arranged” wealth and in some cases, criminal records, hidden from public gaze, even when there are clear indications such wealth & interests conflict with the interests criminal & civil cases, being heard in Scotland’s courts. 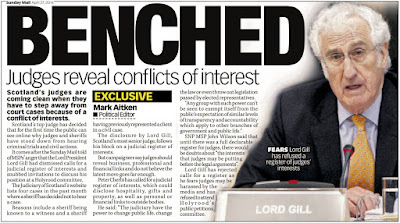 However, and somewhat ironically, while the meeting of the Petitions Committee began with declarations of interests from its various members, a requirement politicians must comply with, a somewhat stony silence descended on the Committee when members were asked for their views on the petition which calls for members of the judiciary to be required to comply with similar rules of disclosing their financial & other interests in court. Petitions Committee Convener David Stewart MSP (Scottish Labour) opened debate on the petition : The fourth and final new petition is Petition PE1458 by Peter Cherbi on the register of interests for members of Scotland's judiciary and members have a note by the clerks spice briefing and the petition and like other members i think there is some additional papers from the petitioner and that involves some press coverage and the press coverage involved some comments about six judges who have been convicted of crimes since 2005 i think the petitioner was very keen that was made public in terms of the interests of his particular petition. 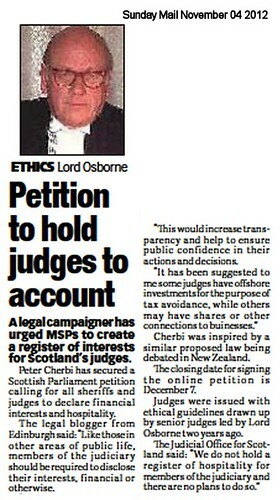 Jackson Carlaw MSP (Conservative) said : I have to say similar to the last petition I find this slightly clumsy and unnecessary and at this stage as far as i can see on the basis of something that is envisaged potentially but not actually currently being implemented in New Zealand however I am quite happy for us to at this stage to seek the advice of the Scottish Government and the Lord President as to what his view would be on this and perhaps actually ask for some sort of indication or report as to what information has been forthcoming in terms of the way in which any system that's been operating up to this point has been functioning. Convener : Thank you for that. Are members agreeable? 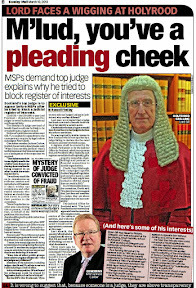 John Wilson MSP (SNP) said : Can I also add if we are going to write out seeking views we write to the Faculty of Advocates and the Law Society of Scotland for their views o this issue because clearly as Jackson Carlaw indicated the petition makes reference to the New Zealand case which arose because the very fact that a judge was judging a case where there was a lawyer before him where it is alleged the judge owed a substantial amount of money to and that could have created a [something] the case in terms of before the New Zealand courts so could I suggest we also write to the Faculty of Advocates and the Law Society just to get their views on whether otr not they think this would be appropriate at this time to go forward with any legislation. Convener : Thank you for that. Are members agreeable ? 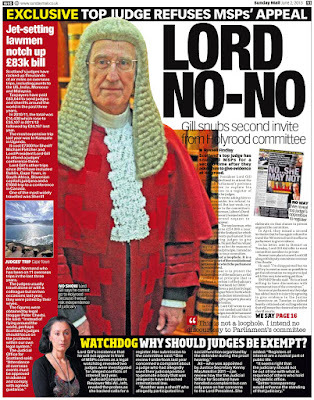 Given that the Petitions Committee have now decided to ask the Scottish Government, the Lord President Lord Gill, the Faculty of Advocates and the Law Society of Scotland for their views on this petition, it will be interesting to see just what arguments the professions, the judiciary and the Scottish Government put forward for excluding Judges from the accepted norms of full transparency of those key decision makers in Scots public life. 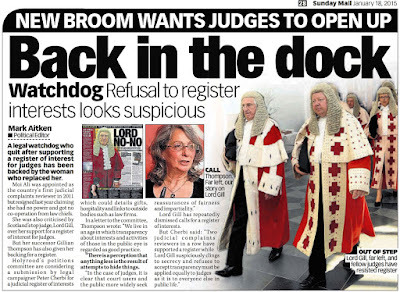 If the Judges have nothing to hide from a register of interests, then they have nothing to fear. 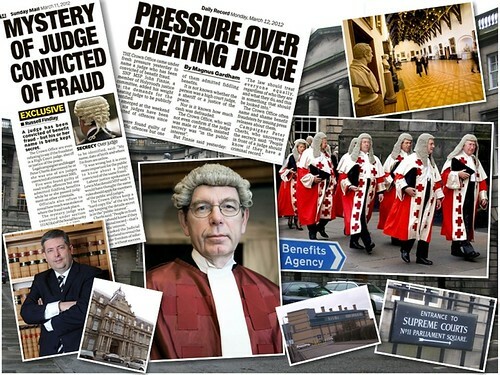 We are often told the same as members of the public, therefore the same criteria should apply to those in the courts who are making decisions which affect us all in one way or another.